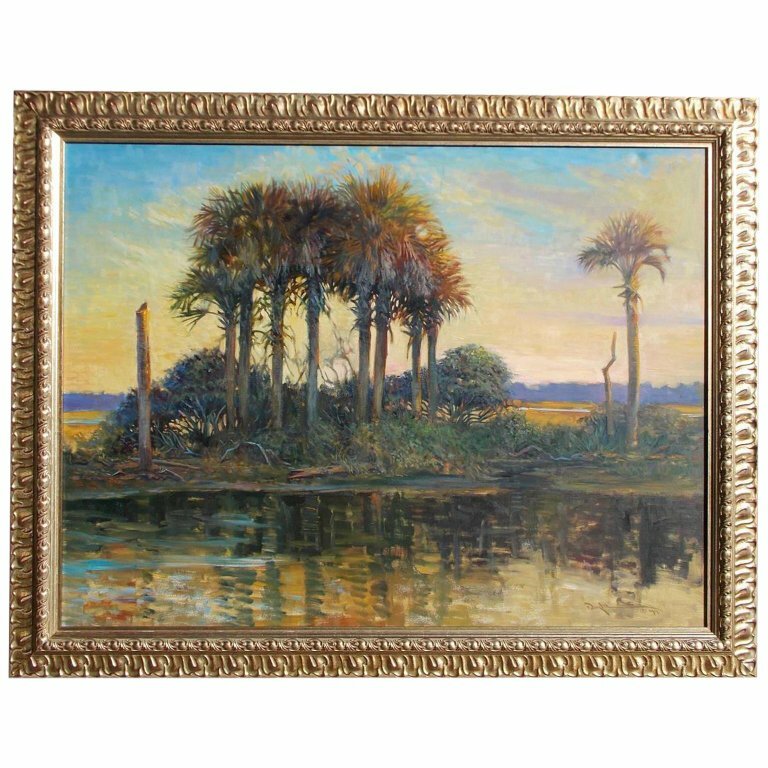 American oil on canvas low country Island in the original gilt frame, Charleston SC. Signed & dated by artist on lower right corner and re verso. "Close of Day" by John Carroll Doyle 1999. H 43.5 in. x W 55.5 in. x D 3 in.